Nigerian College Of Aviation Technology, Zaria [FS, AME, ATE, ATS/Com, AM] Training Programme/Course Admission Form, General Entry Qualification/Requirements, Course Commencement Date, Course Duration, Course Fees for 2018/2019 Session. The college advertises its courses in both electronic and print media (Newspaper, Radio and Television). In addition, the college publishes its yearly academic calendar for prospective candidates. Qualifications/requirements for Entry into the college vary from holders of University Degrees and Higher National Diploma to Secondary School Certificate holders. Applicants who holds the WASCE/GCE/NECO/NABTEB must have a minimum of five(5) Credits including Physics, Chemistry, Mathematics and English Language in not more than two (2) sittings. Detailed requirements could be found in the Course Calendar for 2018 here. 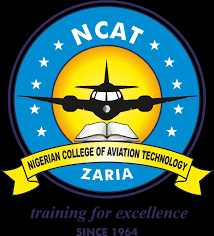 NIGERIAN COLEGE OF AVIATION TECHNOLOGY, ZARIA (CBN Gateway (Remita Net). Credentials are screened after submission of admission forms. Qualified candidates will then participate in oral and written assessments to be conducted by the college during the selection exercise. The assessment will cover the following areas: General Knowledge, English Language. Mathematics and Physics. After written/Oral Selection interview, successful candidates are required to undergo an aeromedical examination from any NCAA Authorized Aeromedical Examiner. Admission is based on satisfactory performance in the aptitude test and medical examinations. Edit/Upload Documents (Attach your Certificates here). The next section (Declaration and submission of form) will not be displayed until all sections have been filled correctly. ATSEP AIRPORT POWER SYSTEMS AND FACILITIES MAINTENANCE COURSE 2nd July, 2018. 13th July, 2018. ATSEP NAVIGATION AIDS EQUIPMENT MAINTENANCE COURSE 9th April, 2018. 20th April, 2018. ATSEP PRE-ON-THE-JOB TRAINING COURSE 13th Aug., 2018. 17th Aug., 2018. ATSEP PRE-ON-THE-JOB TRAINING COURSE 10th Sept. 2018. 14th Sept. 2018.